Love comic books? DARK OZ is the publishing name behind the all-new 'Retro Sci-Fi Tales' first collector's issue, which is being launched over three consecutive weekends at some of the biggest and best conventions in Australia: Oz Comic-Con in Perth on the 29th & 30th of March, Oz Comic-Con in Adelaide on the 4th, 5th & 6th of April, and Supanova in Melbourne on the 12th & 13th of April. It will also be available in one of the shops that regularly carry DARK OZ comics from the 11th of April (scroll down for a list of shops and locations). 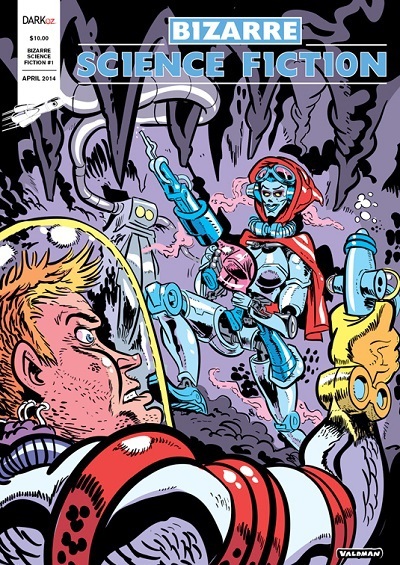 Retro Sc-Fi Tales #1 is 52 pages of full colour with seven complete short stories and nine covers/splash-pages by a total of nineteen highly talented creators. 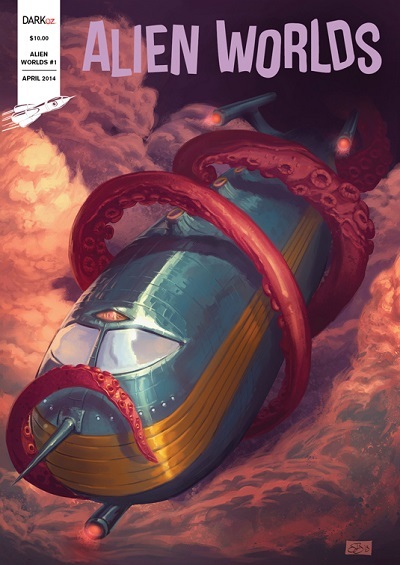 This is the first 'collectors issue' of an all-new ongoing anthology comic, with stories themed towards the romantic days of science fiction. It's rated PG and suitable for a wide audience. It retails for $10. The comic had the first leg of its launch on the weekend (29th & 30th of March) at Oz Comic-Con in Perth and was an overwhelming success. The popularity of it far exceeded expectations. Be sure to grab a copy quick, before they're all gone, as the launch continues at the signing session. As a special treat for lovers of sci-fi there will be a 'creators signing session' on Friday the 4th of April from 6pm to 8pm at the Adelaide Comics Centre (this is a free event). Fans will be delighted that at least six creators have confirmed their appearance so far including Darren Koziol, Michal Dutkiewicz, David Williams, Jos Valdman (the Adelaide Advertiser cartoonist), Paul Briske, and Greg Holfeld, and more signings are expected soon. DECAY, a horror anthology, is DARK OZ's flagship title. There have been 16 issues produced so far and issue #17 is about to be launched. 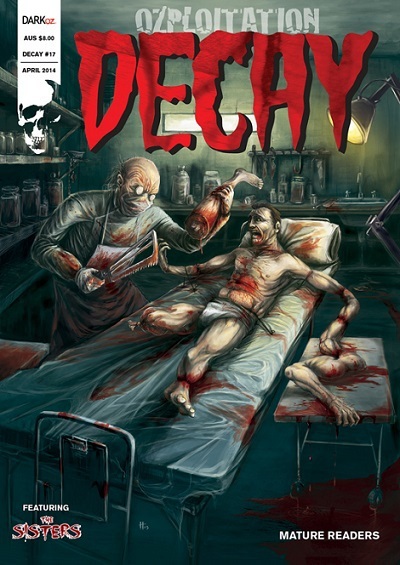 DECAY is a Mature Readers title containing short stories of every type of horror you can imagine, from many of the best creators in the Aussie scene today. DECAY #17 has 52 pages, sixteen of those in colour. 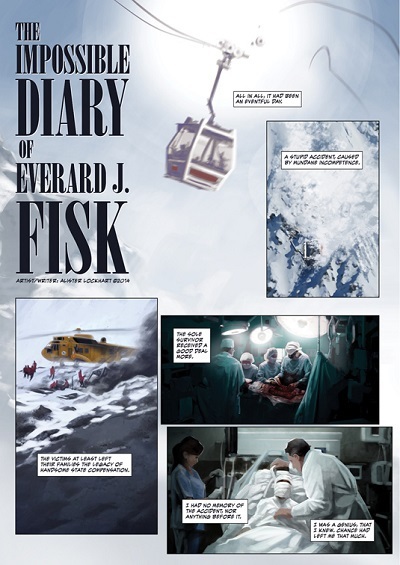 There are five stories and three covers/splash-pages. This is the 'Ozploitation' issue of DECAY, definitely for Mature Readers only. It retails for only $8. DARK OZ is a showcase of the incredible talent Australia has to offer; writers, artists, designers, illustrators. They promote the work of both professional and emerging talent, giving them a place to show off and be published. There have been well over 100 creators featured in DARK OZ so far, including many of the best creators in Australia.